Thank you to everyone who reads this weekly blog! 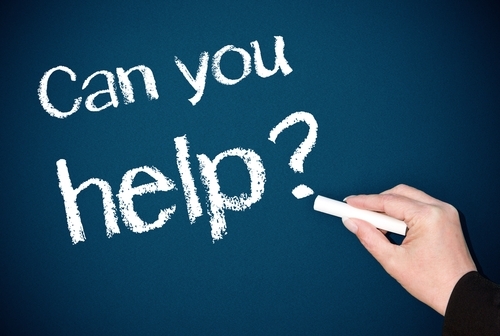 If you share my interest in helping your fellow retailers, I have a favor to ask. 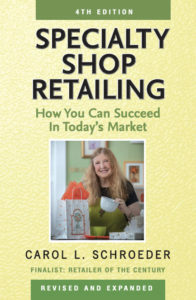 I’m hoping you’ll be willing to share a short success story to be featured in the upcoming 4th edition of my book, Specialty Shop Retailing. Entries selected to be included as a “Great Idea” will receive full credit, and a free copy of the book. Great black and white photographs from specialty shops (ads, displays, promotions) are also needed, as well as your suggestions as to what information your fellow retailers really need to know. Please be sure to include your name, as well as your store’s name and location. These are not easy times for those of us in retail, and I hope you’ll join me in making sure that the next edition of Specialty Shop Retailing helps everyone in our field achieve greater success.